An important task during the assessment phase of therapy is to identify client difficulties. 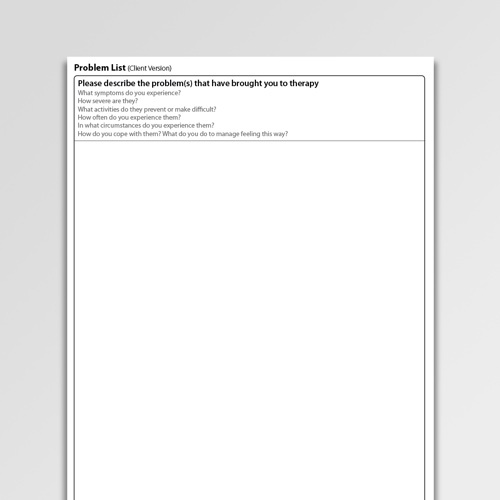 The Problem List worksheet is a helpful way of gathering information about current problems and includes client and therapist versions. An important task during the assessment phase of therapy is to identify client difficulties. The clinician can draw upon multiple sources of information including direct reports from the client, the client’s family / friends, information from other professionals, and psychometric measures. 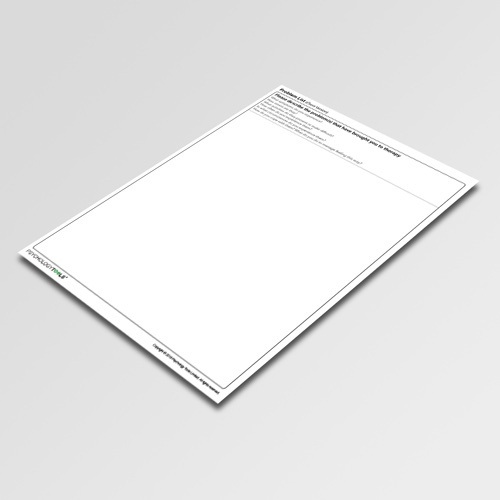 The Problem List worksheet is one way of gathering information about current difficulties. 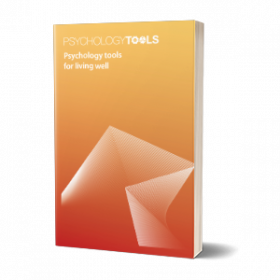 It includes client and therapist versions, with appropriate prompts for each. 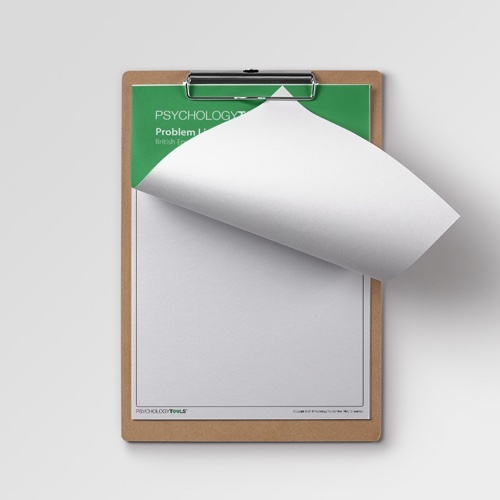 Therapists are reminded that as well as recording issues reported directly by the client they should consider additional issues that the client may not be aware of, or may not consider a problem. Therapists should reflect upon whether an identified problem has a bearing upon safety, stability or client engagement. 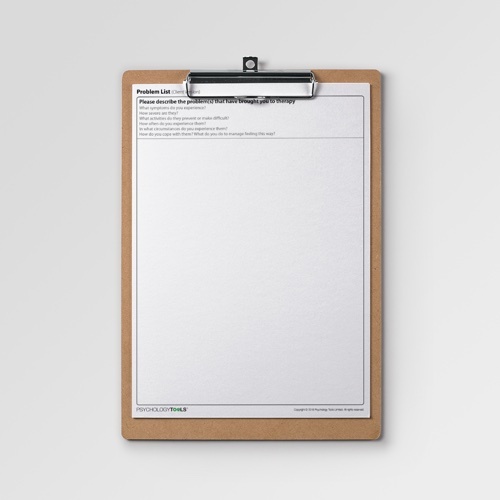 There are separate ‘client’ and ‘therapist’ versions of this tool. The client version can be given prior to or during an assessment appointment. Both versions include prompts to be considered by the client / therapist. Persons, J. B. (2008). The case formulation approach to cognitive behavior therapy. Guilford.